A month long art exhibition at Portland's Compound Gallery will indulge in the rich creative and design history of Nike, one of the world's most storied brands. Profits from the exhibition will go directly to Tsunami relief in Japan. 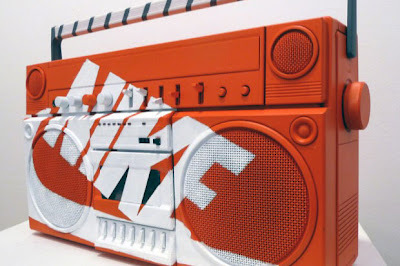 A gnarly boom box and a noble cause.